Having a crafty hobby is a fun way to pass the time, but research suggests that creativity can have a tangible impact on our mental wellbeing. In 2017, the All-Party Parliamentary Group on Arts, Health and Wellbeing reported that the “act of creation, and our appreciation of it, provides an individual experience that can have positive effects on our physical and mental health, and wellbeing”. Supporting this, a study has found that 79% of people in deprived communities in London ate more healthily after participating in group art projects, while 77% engaged in more physical activity. Overall, 82% enjoyed greater wellbeing, proving that an enriched creative life can contribute to a more positive mindset. 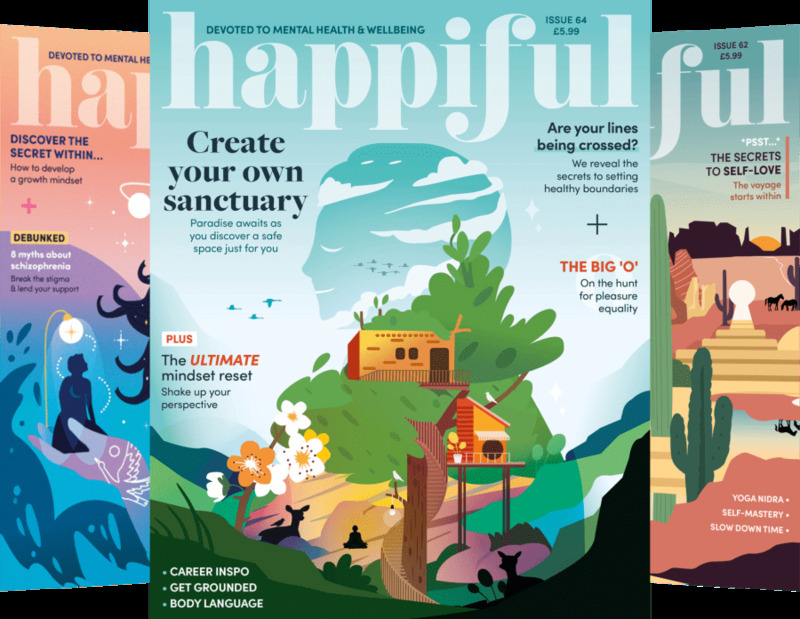 To learn more, I spoke to Suzy Reading, chartered psychologist and author of The Self-Care Revolution: smart habits & simple practices to allow you to flourish, who explained why creative writing is such an effective self-care tool. She tells me that people tend to have a deeper knowledge about themselves when they are encouraged to give a voice to their experience, and that this undervalued self-care tool is “a way to be heard, even if you’re just listening to yourself. It’s a way of processing your thoughts”. Many people give up at the first hurdle, because they think that they aren’t naturally creative. But the most important thing to remember is that no one else ever needs to read what you’ve written. This is just for you, so it doesn’t matter if you’re the new Shakespeare, or if you can’t tell a semicolon from a exclamation mark. One way to use creative writing to foster positive emotions is to write about happy memories. The act of reminiscing about sights, smells, and textures, will inform your writing, and when you read the words back you may experience those feelings all over again. Another prompt would be to think of one good thing that has happened recently, and write about it in detail. Writing about your happy memories doesn’t need to involve creating long lists of all your achievements or defining moments. In fact, it’s just as effective to write about all the little things that make life great. Whether it’s your first cup of coffee in the morning, or a sequence of calming yoga poses before bed, the act of savouring can have a really potent impact on wellbeing. Try writing about a positive moment in your day, and thoroughly describe every aspect of what made it so enjoyable. People often associate creative writing with the idea of expressing negative emotions, but it can actually be easier to master when you’re feeling mentally well. When you feel life is great, that’s the perfect time to write and record positive emotions. Then, when challenges arise in the future, you can refer back to your writing and rest assured that the bad times won’t last forever. “In those times, it’s about reflecting on previous writing, and using that sense of context and perspective,” says Suzy. Creative writing isn’t about downloading the negative thoughts and rereading them. You want to hold on to the positive experiences, the affirming life experiences, and reread those when you feel tested by life.